Twitter Predicts the Stock Market…in ADVANCE? In case you are wondering why the government is so interested in your data, this information might provide some insight. 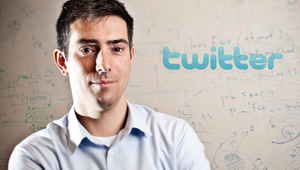 An algorithm was developed by social scientist Johan Bollen, where he measured what he called “mood states” of Twitter users. Using Google, Bollen profiled what he called Google-Profile of Mood States or GPOMS. Over a period of 10 months, GPOMS studied 2.7M Twitter users and analyzed 9.7M tweets. With this data, Bollen established a baseline of what he deemed, “Twitter Mood.” The results are interesting to say the least. For example, the study found that people were calm before Thanksgiving, a holiday where there are no gifts. Not exactly shocking, right. Another finding was that people became apprehensive before big elections. Again, somewhat predictable. However, when researchers compared the GPOM to the Dow Jones industrial average, they found that Twitter Mood synced with the fluctuation of the stock market, and was in ADVANCE of the market 3-4 days. The algorithm predicted with 86.7 percent accuracy if the market would close up or down several days before it happened. So in case you are wondering why the NSA wants your data, why the government works with Google, Twitter, Facebook and Microsoft, and why Nancy Pelosi’s wealth rose from $12.1M to over $35M in 3 years, you might have your answer. To read more articles by Kevin Jackson, visit TheBlackSphere.net.